If you don’t want the type of world pictured below, then you are going to have to start speaking up more to make your opinions known. … Otherwise, this is what is planned for you !!! What you see above (from an actual industry document) is how government, utilities, appliance companies, and wireless telecommunication companies see your future. They are spending billions of dollars to make it happen with private companies hoping to make hundreds of billions more dollars in return. From the government’s perspective, it wants to influence your behavior to reduce energy consumption consistent with a “green agenda.” From the utility’s perspective, it sees a chance to reduce peak demand during the day when it would otherwise have to pay higher prices for electricity purchased on the open market. 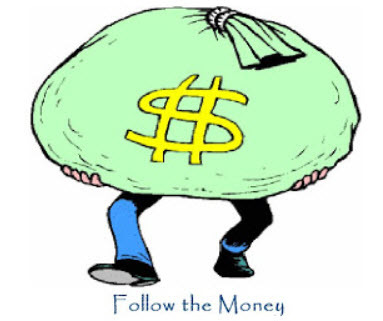 And for everyone else, it’s pretty much, well, follow the money. Every company imaginable sees a chance to sell more products and services as part of getting “a piece of the action” to modernize the electricity grid and to equip the modern, automated home of the future. What about the consumer? As a major stakeholder, the consumer is really not at the table to make any decisions. It appears that the overriding philosophy is that “the end justifies the means,” whether the “end” is viewed as achieving a sustainable environment or to maximize profits. The effects on the consumer for continuing to follow the current course will be higher costs for electricity and appliances, higher RF emissions, and less privacy. So although the trend is currently set, people can still make a difference. One approach is “self-advocacy.” Each person can become a more active voice in his or her community. To a greater extent than many realize, individuals have the power to affect public policy by letting policymakers know that they want more responsible RF emission safety standards and greater privacy protections from technology that encroaches on their home environment. In addition, educate yourself, and help educate your family and friends on the facts. We definitely do need more people to become active on these issues to change the course of where we are headed. 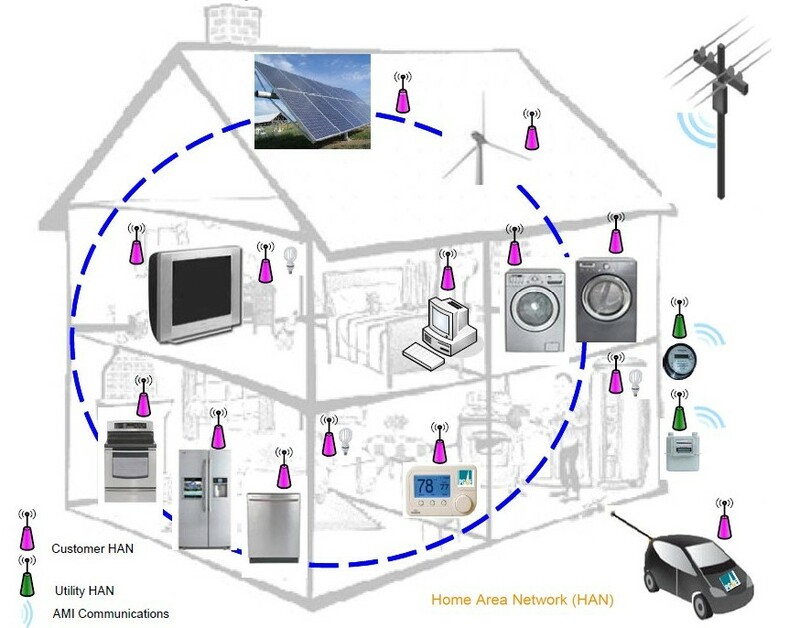 Technical Note: With reference to the “microwave house,” smart grid proponents have on occasion stated that smart meters and related devices do not emit microwave radiation in their “fact sheets.” This is astonishing, since by all technical accounts, smart meters do emit microwave radiation, in that “microwaves” are a form of electromagnetic radiation with frequencies between 300 MHz and 300 GHz. Both microwave ovens and smart meters emit electromagnetic radiation within this frequency range. See, for instance, http://en.wikipedia.org/wiki/Microwave. The above claims are technical nonsense. Microwave radiation is a subset of radio-frequency (RF) radiation where RF radiation is generally considered to encompass a broader range of frequencies, from 3 kHz to 300 GHz. 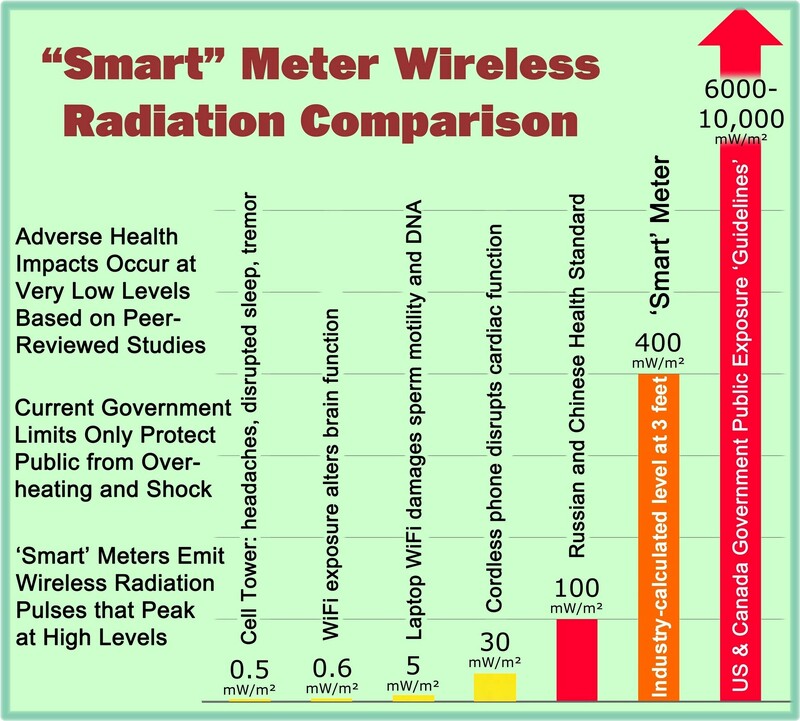 Thus, radiation emitted from smart meters and microwave ovens is considered both microwave radiation and radiofrequency radiation. This entry was posted in Smart Grid, Smart Meters, and RF Emissions and tagged Microwave, Privacy. Bookmark the permalink. It is interesting that people are so excited about ‘opt outs’ for ‘digital’ ‘radio off’ meters. Which of course, will route the data to your computer, dishwasher etc. or whatever else is pulsing and send the data to the neighbours meter for billing/spying etc.